Of all the retro-rock bands clustered under their single spotlight, The Temperance Movement seem to be using their momentum the most effectively. For what seems on the surface to be another blues-rock band that’s reliable but ultimately nothing special, both their self-titled debut and its follow-up White Bear did fairly well with the classic rock crowd, and even if their collective touring stripes have been earned through playing with some utterly drab acts (a CV comprised of Feeder, Rooster and Ben’s Brother is nothing to be proud of in anyone’s book), the fact that they’re essentially mainstays at Download – and high on the bill at that – suggest that the push for The Temperance Movement is one that’s adamant on turning them into a real force; clearly they’re doing something right. And on A Deeper Cut, this might be the closest that The Temperance Movement have come to justifying their size and appeal. Sure, they may still be in the vein of old-fashioned blues-rock that knows it audience and refuses to stray from that, but alongside a performance that feels more convincing and songs that overall work with their influences rather than using them a crutch, this is definitely a solid album that’s easy to get into, if not become fully invested in. That’s because The Temperance Movement still suffer from the same problems as so many of their contemporaries, primarily in that they still feel as though they’re trying to openly replicate the bands of the ’70s rather than forge their own identity. Phil Campbell has a decent voice that can effectively emulate the persona of the gruff, whiskey-swilling rockstar, but on a song like Backwater Zoo where the extra grit is clearly being put on, it feels even less authentic than normal. And that’s some feat considering the lineage of The Temperance Movement’s sound couldn’t be clearer, whether that’s in the obvious pulls from classic blues-rock on Caught In The Middle and Built-In Forgetter, or the groove on The Way It Was And The Way It Is Now jacked from some nondescript amalgam of various Led Zeppelin riffs. Sure, it would be nice if A Deeper Cut had a bit more of its own identity, but it’s not necessarily bad, particularly because The Temperance Movement have a solid grasp on hooks that makes up for lyrical content that’s as thin and disposable as you’d expect. That’s pretty much a prerequisite for classic rock of this stripe, and given that the band are clearly comfortable with allowing their ambitions to fly, it’s easy to let slide and enjoy regardless. It’s particularly front-loaded in this case with the likes of Built-In Forgetter and the title track, but there’s nothing too progressive or deviant from the norm that prevent this from being easygoing enough, and generally likable. Even with the gauntlet of ballads that causes the end to really sag, there’s something a lot more natural about tracks like Children and There’s Still Time to the point where the sleepy presentation still manages to click, and they aren’t hindered too much. And really, there’s not a lot more you can ask for when it comes to a band like The Temperance Movement. The classic rock parameters don’t adjust for much wiggle room, and with the limited resources they have, A Deeper Cut is about as good as The Temperance Movement are likely to deliver. There are far, far better albums out there, make no mistake, but this is enjoyable enough, and hardly ever sinks to the level of total dirge that so many of their ilk are all too familiar with. Even with the astonishingly short half-life this album will inevitably have, not to mention the lack of anything truly original, this is worth at least a look. 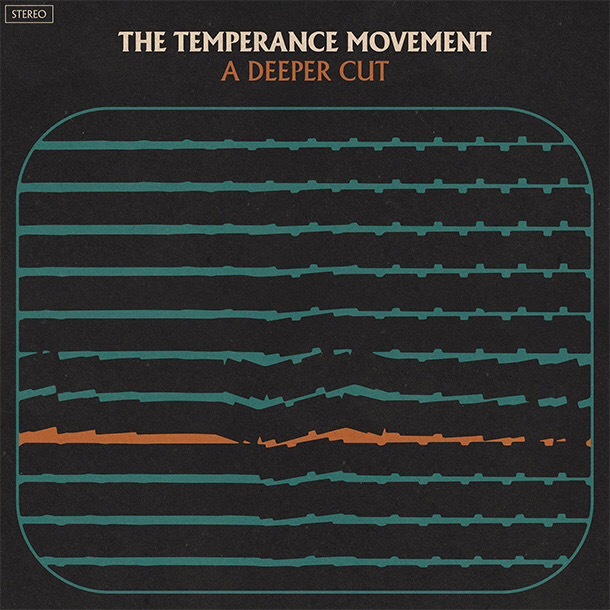 ‘A Deeper Cut’ by The Temperance Movement is out now on Earache Records.